It was a while since I made an update here. We finally got home from the rally and since then it has been full speed ahead at work and spare time. I will write the story of the final leg of the rally trip some day. 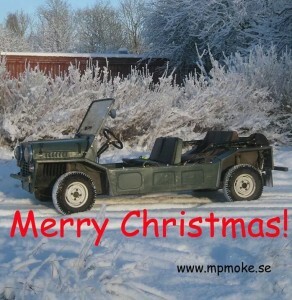 But now it is Christmas and we wish you all Merry Christmas! This entry was posted in Quick update on December 25, 2014 by admin.